I was recently asked to help gather some data from ladies of the gaming persuasion that reminded me of my earliest experiences with video games by a rather unique manly "gift basket" company called Man Crates (you open it with crow bar, how cool is that!). The women I spoke to told me of their early days in the garage with Mario Bros, Duck Hunt, and Donkey Kong on barely functioning televisions. Many of their mothers didn't approve of their pastime, preferring them to spend their days in less "tomboy-ish" behavior. Nevertheless, those early game called to them, honing their skills to a razor-sharp competitive edge that put the rest of their family's high scores to shame. While I personally have not ordered a crate as of yet, it's definitely something I would lean towards in the future if I'm at a loss for a gift. If you are ever looking to re-create some of those nostalgic moments, Man Crates has some pretty cool gifts that include a super retro gamer crate! While they do cater to men in these gifts, there are some women I know who'd get an absolute kick out of them! My first experience with an NES actually came from Animal Crossing on the Gamecube. I acquired an NES for my home decor from the shop codes and soon learned that you could actually play games on it. Once I had gotten out from under Tom Nook's oppressive thumb I got very into Balloon Fight. I'm hooked on Animal Crossing New Leaf now, it is so much better than the original in many respects but I do miss that in-game NES. Anyways, my first console experience; I think it may have been Sonic 2 on Sega Genesis, but it doesn't stick out to me as that golden moment (my apologies to all you Sonic fiends). My "brothers" at the time had the SNES and, of course, a brand new N64. I loved watching them play, even though the older one (of course with the N64 and eventually PS2) wouldn't let me play for fear of having me, who was the same age as the younger brother, screw up his game or getting in trouble for playing something over my maturity level. It was a responsible decision, however, my family was only visiting and I sat there for hours with the younger brother watching the elder brother play Super Mario 64. 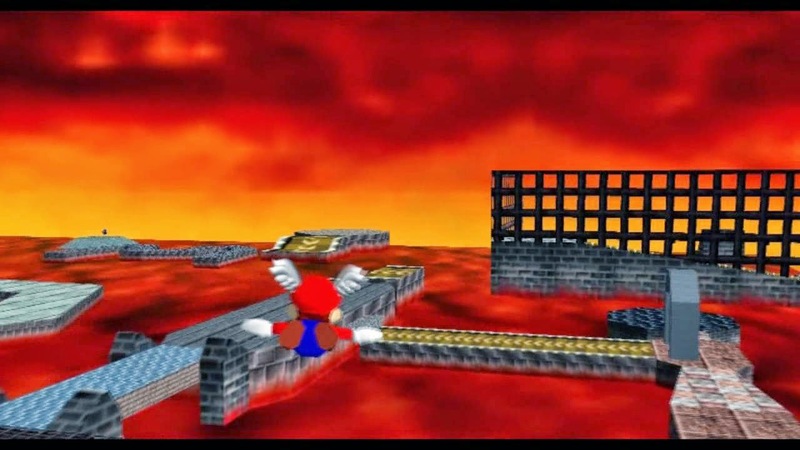 Finally, he hit Lethal Lava Land, one of the easiest places to kill yourself in the game. His mom made him hand me the controller. As the strangely sleek, three pronged controller sat in my tiny hands, I swear a chorus of angels sang. It was meant to be. Within moments, I died as Mario leapt into the air, seat ablaze and had to hand the controller back. But that small taste was still enough. It was love and I had to have one. I'm really not sure why it became my life's mission at that point, though it matters very little now. I was very lucky that my folks indulged me that Christmas with that glorious N64, two controllers, Super Mario 64 and MarioKart 64. I played and played, first beating the game with 104 stars and coming back with 120 at an older age. I saved my allowance, got a Gameboy Pocket with the Pokemon Red (it had a cool dragon, I couldn't argue) and began quests that I never dreamed that I could participate in. And of course at the mention of the new system codenamed "Dolphin" (what would become the legendary Gamecube) I saved my pennies, allowance, babysitting money, and birthday money to get one the first day. Even without a memory card at first, Star Wars; Rogue Squadron 2 was the best thing since sliced bread to my friends and me. 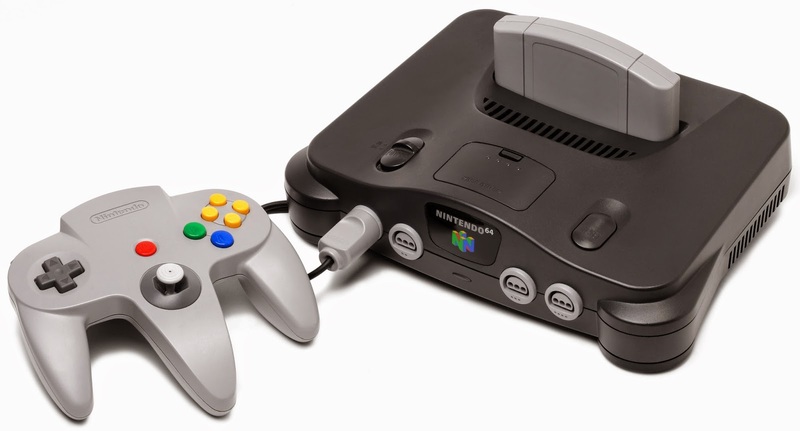 That N64 was amazing, and survived until this year (may it rest in peace). It and the consoles that came before it cemented my relationship with games, and those brothers and I are still playing games together.